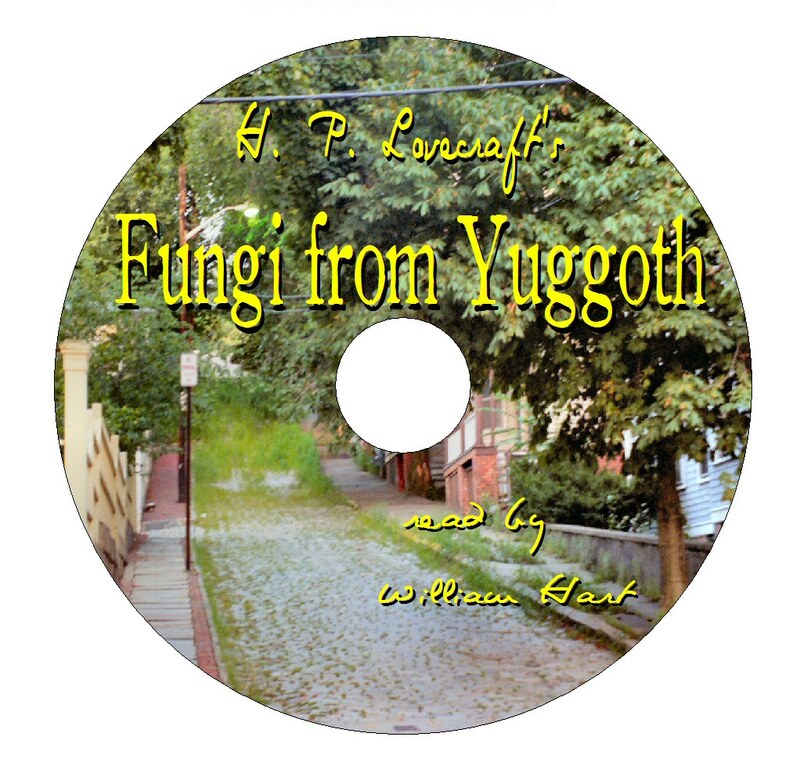 MrWilum (Wilum Pugmire, a Lovecraftian author and friend of many years), over on YouTube, has brought up the topic of my reading of the Fungi from Yuggoth sonnets being made available on CD. I’m not prepared to go into CD production, but I am willing to post the original wav files here for those who would like to use them to burn their own high-quality CDs. I have burned my own; and I admit, they do sound better than the mp3 files. Both formats are good, but the CDs made from the wav files have the edge. Feel free to use the files below to make your own CDs for fun or profit; but please leave my opening and closing credit files on those copies you give away or sell. I’m including the paper CD template, which uses the graphic shown above, in Microsoft Word doc format for printing of a paper CD case that is very easy to fold into a professional looking CD. NOTE: If you do a normal click on the WAV file links in this post, WordPress will play them for you. If you’d like to download and save the files for yourself, and you are using a PC, right-click, to bring up the right-click menu and use the “Save Link As” function to save the WAV files to your hard drive. If you’d like to download and save the files for yourself, and you are using a Mac, I believe that would be Ctrl + Click to bring up the right click menu, and use the “Download Linked File” function to save the WAV files to your hard drive. I don’t own a Mac so please correct me if I am wrong! Please let me know what you think of your CD versus your MP3 files after you have compared them. By the way, while listening to my own readings, while sitting in my car, I’ve been struck by two things. These sonnets need to be read aloud to be truly appreciated, and the fact that I have a very hard time believing that all but one of these sonnets were written in late December 1929 through early January 1930; with “Recapture” being written in mid-November 1929. Ask yourself when you listen to them. Do these dreams, thoughts, ideas, words and themes sound over eighty years old to you? I’ll wager they don’t. 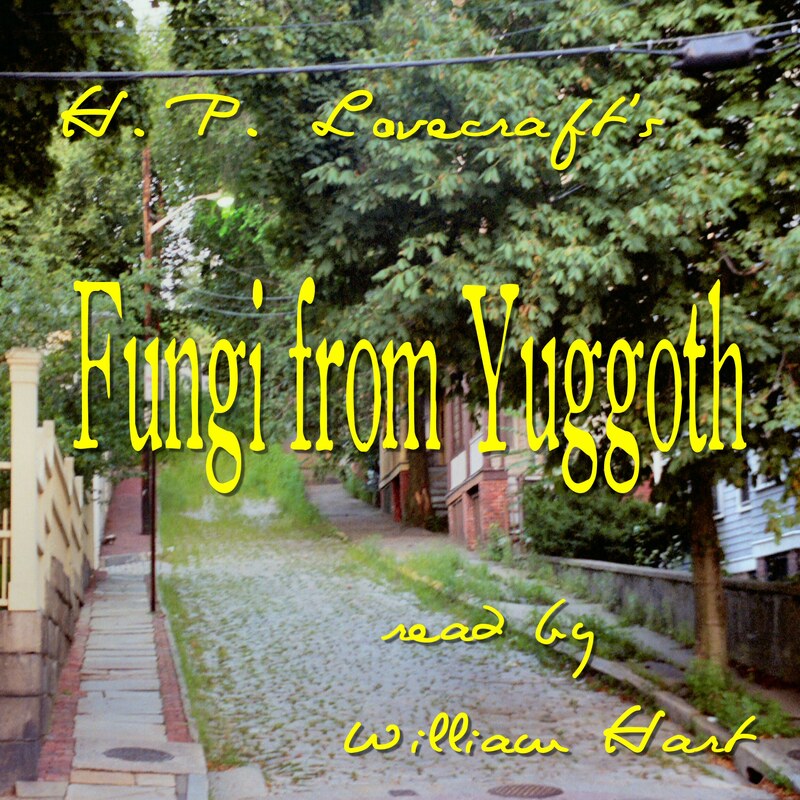 This entry was posted in Audio, Audio Book, Audiobook, Book, Books, DOC Files, Documents, Free, Fungi from Yuggoth, GIF Files, H. P. Lovecraft, H. P. Lovecraft Updates, PDF Files, Poetry, Readings, WAV Files, William (Will) Hart and tagged Audio, Audio Book, Audiobook, Book, Books, CthulhuWho1, DOC, Documents, Free, Fungi, Fungi from Yuggoth, GIF, Hart, Lovecraft, PDF, WAV, Will, William, Yuggoth. Bookmark the permalink. I have just started working my way through all of these, and so far, number 3, ‘The Key’, ;and number 6, ‘The Lamp’, will not completely download, all I get is 45% and then they freeze. the same thing happens when I try to play them directly. It may just be my machine or something, but if nobody mentions it, you can’t do anything about it. I just downloaded the files with no problem, so I’m not sure where the problem lies. I’ll try sending them to you by email. I’ve listened to your readings several times now and they’ve inspired me to set them to music. Here’s the first sonnet, http://www.megaupload.com/?d=NOR3HNTL. It’s set to Kevin MacLeod’s “Road to Hell” and with a little sfx from, heck, I forget where. Anyroad, let me know what you think, and many, many thanks for making your readings available. And I truly like the added effects too! I’m still waiting for someone to jump in, and do a complete musical and sound effects background for each of the recordings I’ve done so far; so those who want it that way, can enjoy my readings too. I hope your efforts will inspire others. And I hope they will also post links to their versions, plus links back to my original files. I say, have fun with them. That’s why I freely put them out for everyone. I’ll be doing more sonnets over the 4th of July weekend and hope to have them all done before Halloween. Of course, in the spirit of your generosity, they’ll be free todownload. Let me know what you think. All criticism gratefully received!